Use your Apple Airport Express to stream music wirelessly to your TV or home audio system! This high quality cable will allow you to Airplay enable a TV, Hifi music system, stereo amplifier and more - via your Airport Express. This cable uses RCA (phono) connections to fit the Twin Phono/ RCA Line Input sockets on most home AV equipment. This high quality cable will allow you to connect a TV, Hifi music system, stereo amplifier and more - directly from your Airport Express. 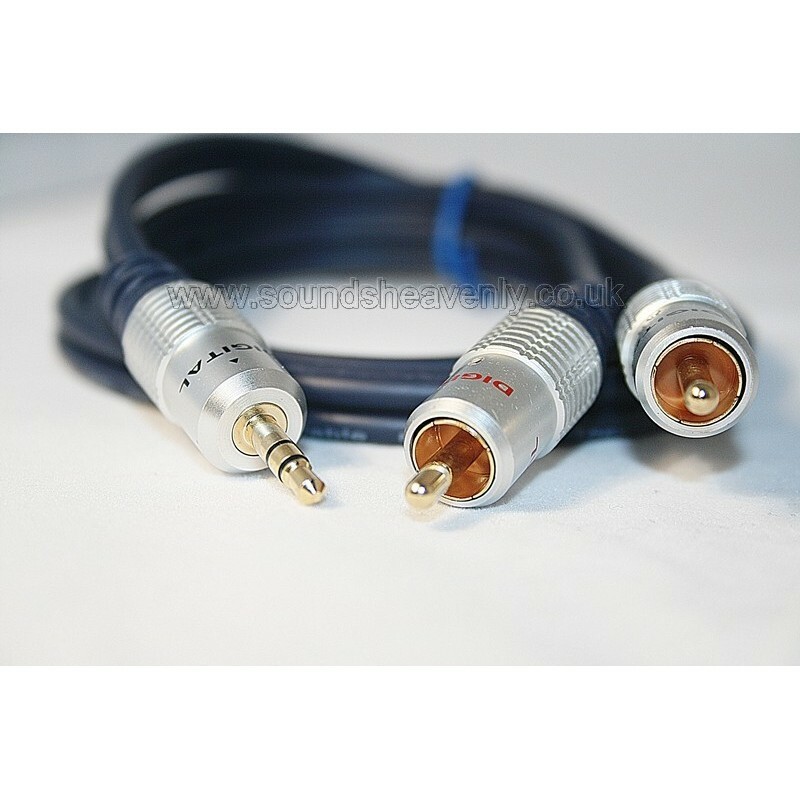 This cable uses RCA (phono) connections to fit the Twin Phono/ RCA Line Input sockets on most home AV equipment. Alternative versions of this cable are also available that will fit your B&O Beolab speakers - if you are in any doubt, please ask! A popular use for this cable is for connecting the Line Input of a stereo amplifier to enable Airplay wireless audio on any Hifi system.